•	Productivity – by providing monitoring, tracking, dispatching, reporting and routing tools. •	Safety – by providing behaviour monitoring, accident notifications, and in vehicle coaching. •	Optimisation – by providing vehicle monitoring, predictive maintenance, fuel management and diagnostics. •	Compliance – by provide trip logging, hours of use, log book replication and inspections. •	Integration – by linking with onboard camera, CRM and supply chain tools. 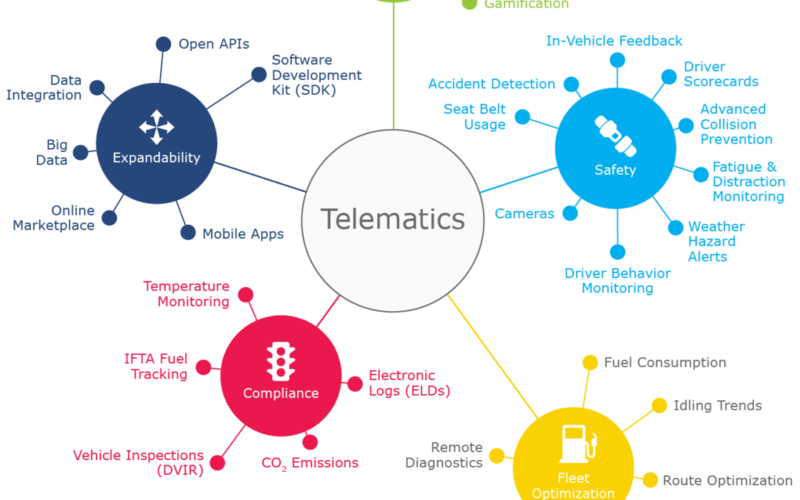 Outside of GPS monitoring, very little telematics is currently used outside the logistics industries. As it is an established technology, it can be easily applied to all industries with fleet and supply chain logistics. David Nixon is Director, Advisor, Author and Entrepreneur and recognised as Australia’s Authority on Unleashing Growth Barriers For SME’s.